Science says 5000-plus PSI concrete is not technically waterproof because water vapor can penetrate it. Water molecules cannot, however. Whatever your experience or beliefs, though, building codes typically require a coating or application on the exterior face of the foundation that is below grade. Check with your county building inspection department to know what their requirements are. 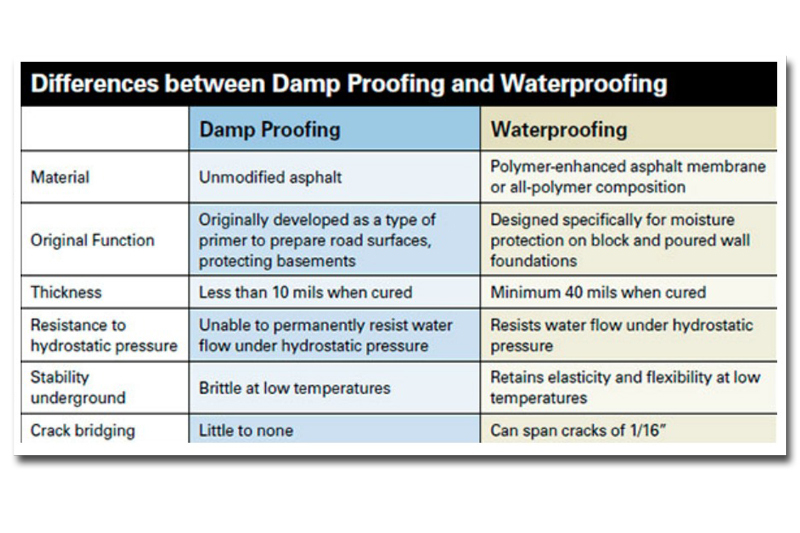 See the accompanying table which highlights the differences between damp proofing and waterproofing.